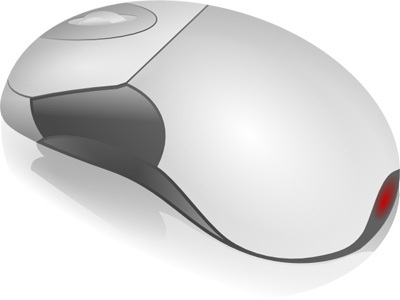 The computer mouse is considered an input device. With a click of a button, the mouse sends information to the computer. The computer mouse is an interesting device that offers an alternative way to interact with the computer beside a keyboard. A typical mouse has two buttons. At the top of the device you will find a left and right button which allows for "clicks". There is a scrolling wheel between the two buttons. 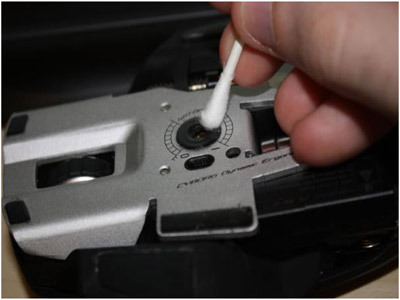 We can use the same techniques on our mouse that we used to clean our keyboard--that is, a gentle brushing with a cleaning wipe or a moist towel. Depending on the variety of mouse, we should be able to pop the primary clicking buttons off in a manner similar to a keyboard's keys, giving we access to the dirty bits underneath. 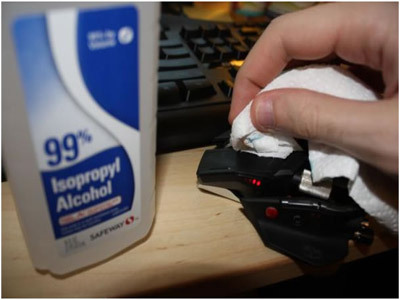 We can also use the same cleaning cloth to wipe the gunk that typically sticks to the pads on the mouse's underside. If we are still rocking a legacy mouse with a ball, remove the cover on the bottom of the mouse and give the sphere (as well as the area in which the mouse ball sits) a good wipe. And for the 99 percent of people who have moved on to optical mice, a cotton swab gently inserted into the area of the LED should be sufficient to remove any debris that has collected. Go to Device Manager and check whether the Mouse is enabled or not. If it is disabled, enable it. If none of the above works, then replace the mouse.